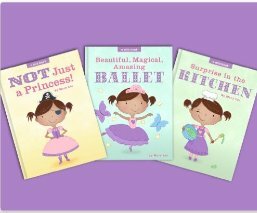 Trilogy of books combined into one edition that will empower young girls. Targeted for ages infancy to age six, the stylized, colorful, multicultural illustrations and large simple vocabulary text can grow with a child. Youngest readers will enjoy looking at the pictures and enjoying the read aloud. Children in kindergarten and first grade might use the book as an early reader. The first book features Mia who generally loves playing princess, but wakes up one morning feeling like anything but a princess. She imagines herself a lioness, a pirate, a starfish and a cowgirl among other things. Mia decides there are many more options a lot more exciting than being a princess. The second books features Mia on her first day of ballet school. Again, Mia discovers a lot more than ballet steps and learns a lot in the process. In the final book of this set, Mia explains that she enjoys eating cookies a lot more than the process of baking them. She uses her imagination to think of other alternatives. The next morning Mia comes up with a surprise for her mom that does not turn out as she expected. But, in the end, Mia learns a much more important lesson about herself and her life. Parents and teachers who want to delight and inspire their little princesses and instill a strong female role model should check out this collection available in kindle and paperback. This book is a tale of two heroines; Hope, a thirteen year old wannabe astrophysicist, struggling to make a difference in the “hood” on Earth, and Dinah, one of the scions who travel space creating planets and chasing the stars. Hope must overcome bullies and racism; Dinah must figure out how to control the forces struggling to tear her being apart. Humphrey succeeds in writing a book that addresses problems many middle grade students face, bullying and racism, while at the same time facing how to “come of age.” The parallel science fiction story of Dinah, who is being tested in her world, lends an appealing element to the middle grade reader. 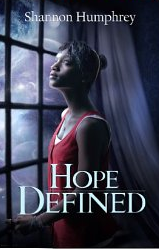 Hope is truly a creative genius, but she is faced with opposition from her black friends who want her to give up her “nerdiness” and just fit in, while at the same time fighting to compete with the white kids who are jealous of her and scheme to get her in trouble. Her mother does not understand her devotion to her studies, but a neighbor named Mr. Lewis is willing to help. Hope has strange dreams about a girl who looks like her and gives her confidence; Dinah struggles with a strange feeling that she is needed to help someone, but does not understand how or where this impulse originates. The plot details the kind of experiences middle school students face everyday and portrays situations with which they can empathize. 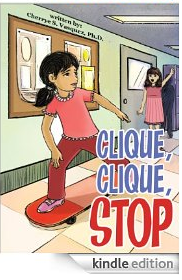 I highly recommend this book to parents and teachers as a starting point of discussions on bullying and racism. It raises many situations that should be raised before these issues arise. Children age nine and up will find this a compelling read and a useful resource for answering may of their questions in a nonjudgmental fashion. This story teaches and does not preach; a most effective way to reach the minds of tweens and young teens. If you enjoyed this post, please subscribe by clicking on the word Follow or by hitting the RSS Feed button in the upper right hand corner of this page. Categories: Book Reviews, children's books, fiction, middle grades, young adult Tags: astrophysicist, bullying, coming of age, fantasy, middle grades, multicultural, racism, sci-fi, space travel, the "hood"
This book of approximately one hundred pages might be described as a dark fantasy. There are many traditional fantasy characters like gryphons, trolls, fairies, unicorns and witches. A few others like the Talking Bear Mayor and the satyr sheriff are a bit of a stretch. Then there is a reluctant heroine and her twin sister who is a magical weaver and heroine. Allow me to summarize the plot briefly. Maya is a rather morose and cynical twelve year old whose twin sister Sofia has recently drowned. Sofia had magical powers along with a magical ring which now belongs to her sister. Two years prior to her death, Sofia had managed to rid the Fairwoods of the trolls under the power of the Cedar Witch. Their lands became peaceful. One day Camden, her sister’s pet gryphon, reappears at the site where Sofia died. He attempts to convince Maya that the Fairwoods are again in danger, and that she is needed to restore peace. Maya has no interest in being a weaver or leaving her comfortable life in Oregon. But she feels guilty and eventually agrees to spend Labor Day weekend with Camden on a quest to find the Morning Stone and restore the balance of power. Maya loses her backpack to Duskrats, and then travels on to the home of the Maple Witch who feeds them and attempts to show Maya how to weave magic just as Sofia had done in the past. Maya is unsuccessful and frustrated. She and the gryphon will meet up with a unicorn, goblins, a geographer some cobblers, and trolls in their attempts to find the Morning Stone. When Maya finally reaches her destination, she is shocked to find that her heroine sister’s death was not an accident. Maya must now make a decision whether or not to avenge it. Will Maya ever be able to put the tragedy behind her or will she forever be molded by it? I like the multiculturalism introduced by using Spanish phrases, particularly Maya’s grandmother’s description of her as Hueca (hollow) . That is a good way to explain the way Maya feels about herself at the beginning of the story. 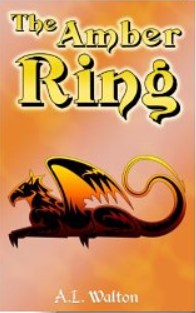 As mentioned previously, there are some fantasy elements included that are a stretch with the plot, but all in all, I feel that the short novel will appeal to children ten and older as well as adults who like a quick fantasy read. This new book continues the story of thirteen year old Isabella. In the author’s first book, No Tildes on Tuesdays, readers were introduced to Bella and her struggle to accept her biracial status. She had always associated and gone to school with white friends. In fact, she resisted her father and grandmother’s attempts to learn Spanish and the customs of her Mexican heritage. But now her father is being laid off, and the family is moving to a much poorer mixed population neighborhood. Bella feels disappointed and rejected, especially when her neighbor calls her a half breed. When she goes to register at her new school, Isabella’s white mother is angered to see that there is no place on the registration form to indicate biracial. Though Bella is strong and determined, everyone at the school seems to be in cliques. Whites hang with whites, the Spanish students avoid speaking English, and the Black students have their own cliques as well. Bella meets a Spanish boy named Roberto and a white boy named George, who seem friendly, but the girls continue to make fun of her. Bella’s mother contacts the school which leads to Bella speaking to Mrs. Rios, the guidance counselor. She hesitantly speaks of her idea to start a Heritage Club in which students of all races would come together not only to discuss likes and dislikes but to share common interests and customs. Many of the teachers realize that the school has been divided into cliques for far too long and jump on board. Bella is gambling that her club will bridge the divide and unite students from different backgrounds in the community. Will it succeed? Dr. Vasquez concludes the book with a section discussing the story line with students, educators and parents. This short story is a much welcomed edition in a book market that largely neglects our multiracial and multicultural students. It should be available in the classrooms of middle schools, in our libraries, and a topic of discussion in the families of all our children. I came across this e book as a promotion. I had not read the first two books in the planned five book series. 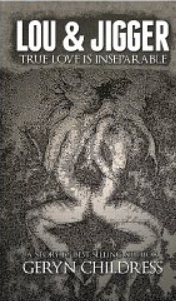 This third short story is a strange combination of Jamaican folklore, adventures, and moral lessons that pleasantly surprised me. It makes a good addition to a classroom multicultural library. The book is well written with lots of colorful verbs, analogies and descriptive language though I did find one typo in which the word joint was used for the verb join. A smattering of Jamaican lingo like the word, “mon” also provides an authentic touch. 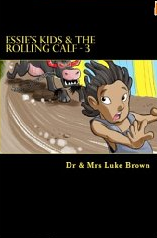 At the outset, the reader meets Karl who is tossing in his bed because he is haunted by the memory of the dreadful beast known as a rolling calf , a large swift running creature with dragon like eyes who voices terrifying sounds. Karl has met this creature in previous stories and now is anxiously awaiting to confront him once and for all. When he finally succumbs to sleep, he dreams that he is tiptoeing down the ghost-like streets at night. Suddenly, his brother Leonard shakes him; Karl realizes it is all a nightmare. Karl’s family has journeyed from the city of Montego Bay to their country home in Clear Mont for the summer. His sisters, Myrtle, Geena and Betty play hopscotch and jump rope, while the boys play tag in the front yard. The author contrasts nicely the differences between the “city” and “country” folks. The country children wear plain clothes and no shoes. City kids are teased for being cowardly and not willing to get dirty. In the end, both learn to give and take and respect each others skills and differences. Junior’s best friend here is named Ben. He encourages Junior to come to the river and fish. Junior realizes his mother will probably say no, so he hesitantly decides to slip away without asking permission. Ben meets up with his friends, Johnny, Dave and Jasper, who he calls “bad company” because they always manage to get him in trouble. The girls, on the other hand, get their mother’s permission to go to the river and enjoy their day without worries. Karl had not been himself since the nightmare. He sat by himself most of the day. Karl continued to believe that this strange beast had a message for him. Then he decides to go to the river by himself. As night is about to fall, he sees a bolt of lightning flash before him and feels the swaying of the ground beneath him. Will Karl find his way home? Does he succeed in his quest to confront the beast? The story abruptly shifts back home to the children listening to their mom, Essie, relating one of her nightly stories. She talks of two men locked in a prison cell. The innocent prisoner sees the possibility of being set free someday even though he has no money to defend himself, but the other guilty prisoner is unhappy and mean. Essie’s lesson is that the mean prisoner continued to see only bad things, but the innocent prisoner continued to see promise and beauty outside his window. Before sending the children to bed, they are reminded to look for the good in every situation. 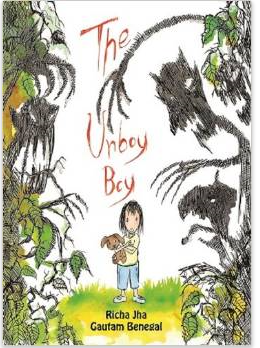 Boys and girls age seven and up will each find elements in the story to their liking. Adults will enjoy the clever interweaving of sound moral lessons intertwined with the charming setting and folklore of Jamaica and the familiar antics of children everywhere.